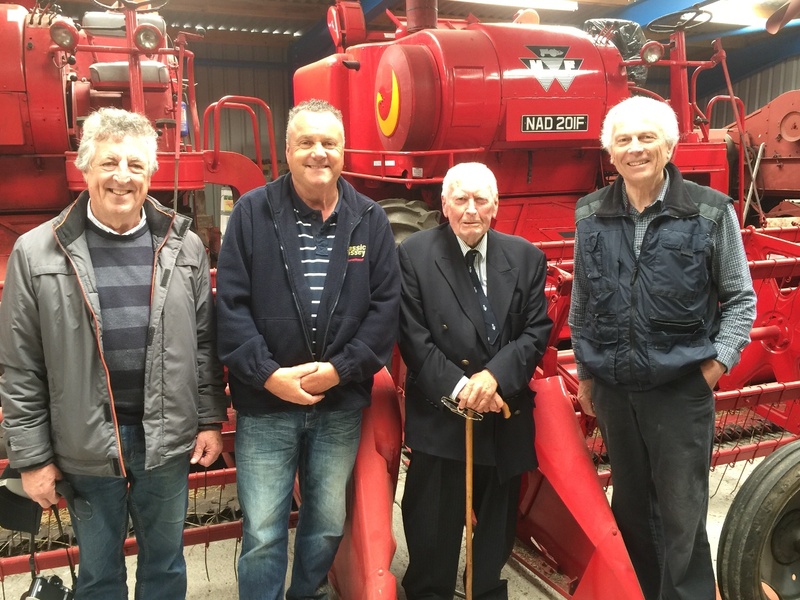 Over a good number of years my interest in Massey Combines has resulted in many conversations with owners, operators, and retired service engineers from across the country and various parts of the world. During many conversations one particular name would be spoken many times, and that was Jimmy Wallace, Jimmy was a gifted engineer who had started out working for Massey Harris at the very beginning of self propelled combine harvester technology coming to Great Britain, he and his few fellow design engineers were given the huge task of meeting the high expectations of a post war country that was hungry for change and the agricultural industry was desperate to push forward to leave the Labour intensive chore of harvesting crops behind them. Jimmy and his team were responsible for that, they worked tirelessly here and in many other countries around the world,pushing the boundaries of harvest technology every step of the way ,and overcame many many problems as the combines were getting larger and faced higher yielding crops as crop science was also developed. 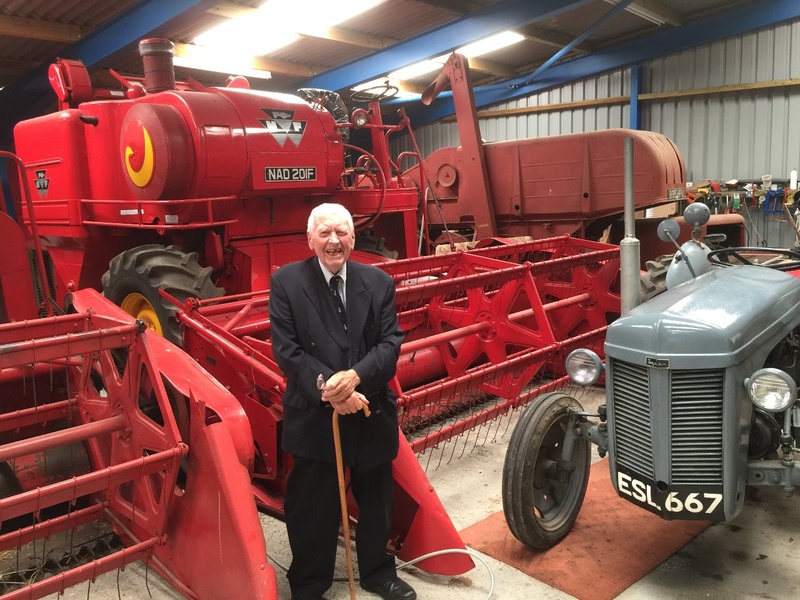 To be perfectly honest it's hard to point out any part of the huge range of combines that Jimmy wasn't in some way responsible for design and testing. Jimmy spent a great deal of time in Canada at Masseys huge Brantford combine plant and he was heavily involved in all aspects of field testing, in fact a large part of Jimmys life was spent out in the world's harvest fields testing and trialling the latest components that would lead to the future developments of future models. If you had to list everything this remarkable man was involved with I would probably need a bigger website than this! 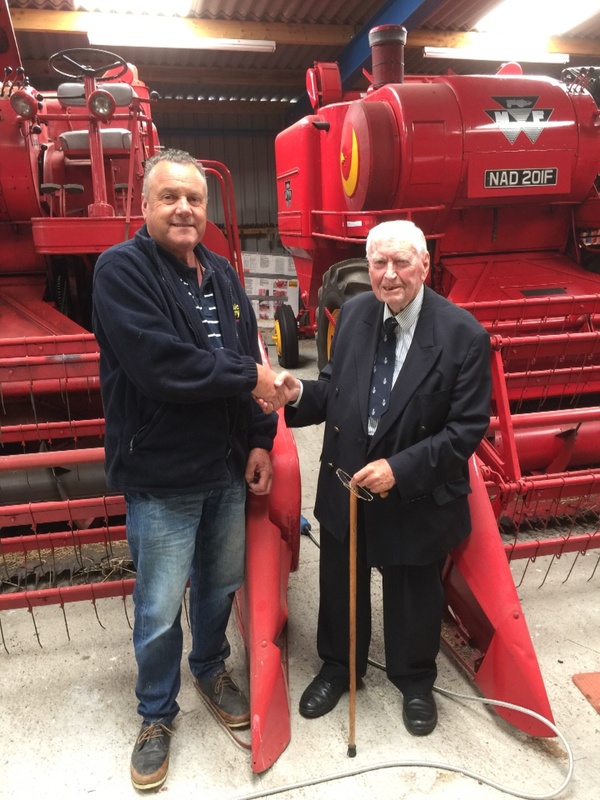 With a lifetime of service under his belt for this global company Jimmy was fortunate to meet all the movers and shakers of the company and one particular gentleman Jimmy worked alongside was none other than Australian Thomas Carroll who was credited to be the inventor of the self propelled combine harvester concept, while working for Massey Harris in Canada. While Tom was over here in England he would stay with Jimmy and his wife, as Jimmy commented Tom didn't think much of the British hotels at that time and preferred the home comforts that Jmmys good lady provided for him and their own young family. I first made contact with Jimmy about a year ago, and I have spent many many hours listening to Jimmys experiences, and it really is an impressive cv one would be proud of owning. There is such a lot about Jimmys working life that could be told but I feel a more experienced wordsmith should take on that challenge, and for me this is my personal tribute to him. 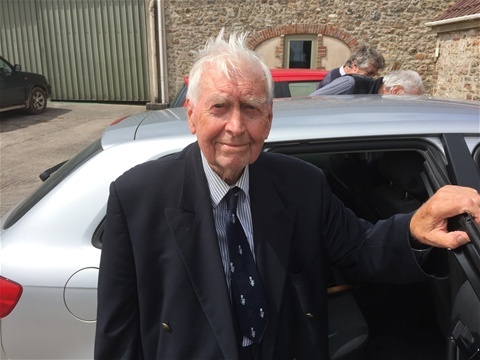 I invited Jmmy down to Somerset last year to meet me and fellow combine owner Howard ,and he said he would take me up on the visit when he could manage it, Jimmy who is in his 92 nd year visited us June 2016 and he was most welcome, in fact he told us many facts about each of our 8 combines we have and he wasted no time pointing out the many problems they had to overcome to deliver the completed combines to the fields. Accompanying Jimmy on his visit to us was Pam Norman who worked at Banner Lane for over 30 years, her job was to liase with the hundreds of dealerships countrywide and Pam's memories and names of the many people she dealt with was fascinating to listen to. 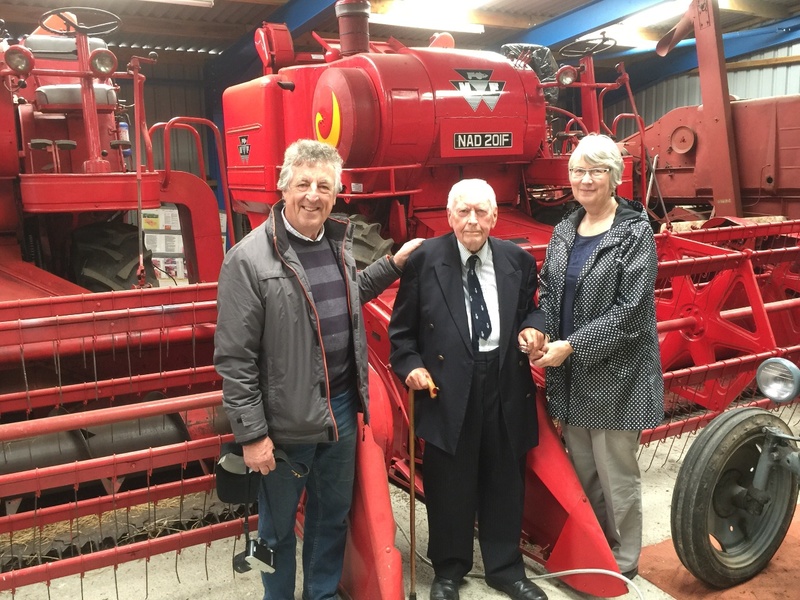 Also with Jimmy came Richard Trevaren, Richard was a service engineer for Massey Ferguson for many years, and before his retirement he was a teacher of agricultural engineering. To sum up this visit to Somerset I asked Jimmy over lunch can you sum up your working life and experiences ! Jimmy said I grew up on the family dairy farm at an early age I decided that milking cows was probably not for me and I was always attracted to taking things apart and studying what makes things work! But he also explains I guess I was just lucky and came into this at the right time. Well to be perfectly honest I think all of us are particularly lucky that Jimmy and many others like him had the drive and determination to give us the technology we take for granted today, and give us an endless supply of food that comes by the way of modern harvesting technology that grew from very humble beginnings in the hands of those pioneering young men like Jimmy,many years ago. Thank you Jimmy, a true gent! Acknowledgements to Howard and Mary for their kind hospitality. The master and his subjects!! Myself and Jimmy a photo to treasure. From left Richard Trrevarthen Myself, Jimmy, and fellow combine owner Howard Coles. Jimmys travelling companions, Richard Trevarthen and Pam Norman, who kindly brought Jimmy down to Somerset.